Deborah is a Project Manager for MCRCD, working on topics as diverse as drought contingency planning, watershed education, groundwater monitoring and non-native plant removal. She has a master’s degree in ecology and environmental policy analysis from UC Davis. Prior to joining MCRCD, she worked for the Golden Gate National Parks Conservancy, where she managed a creek restoration project, and the University of California Cooperative Extension in Ukiah, where she helped develop the California Naturalist Program. 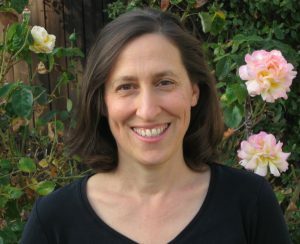 She is a co-author of The California Naturalist Handbook (UC Press, 2013).